We buy houses in Franklin TN and all of Middle Tennessee. Sell Your House Fast In Franklin TN – Any Price Range Or Location. Nexus Homebuyers buys houses in Franklin Tennessee for a fair price. We can close quickly and buy in as-is condition. Do you need to sell your house fast in Franklin, Tennessee?… we buy houses in Franklin TN and Williamson County. We pay cash for houses in Franklin and can make you a fair offer on your Franklin home. We’ll even GUARANTEE that offer! We can have a check in your hands in as little as 2 weeks. There are a lot of situations where we can help, including… avoiding foreclosure, divorce, relocating, inherited an unwanted property, own a vacant house, upside down on your mortgage, liens, behind on payments, downsizing, can’t sell your house, fire damaged, bad rental tenants, your home needs repairs, and more. Basically, if you have a property and need to sell it… we’d like to make you a fair cash offer and close on it when you’re ready. So, do you need to sell your Franklin Tennessee house? Do You Need To Sell Your House In Franklin TN? Have you tried selling your house, but keep running into problems? Maybe you even called a real estate agent to help you list your home. Sometimes listing with a real estate agent is not for everyone. There are problems that you continue to run into, including: fixing up your home, cleaning the inside and out, hiring someone to do the landscaping, finding an agent who will actually deliver, signing a contract with an agent that locks you in for months at a time, and of course, the piles of paperwork you have to sign. That’s where Nexus Homebuyers is different. We will provide you with a fair, no obligation cash offer on your Franklin home in as little at 24 hours from the time you submit your information to us. The best part is we can close on your schedule. Even if your home is in terrible condition, we will give you a fair cash offer on your property. If you need to close quickly, we can buy your Franklin home in as little as 2 weeks. Why Sell Your Franklin TN House To Us? Why work with Nexus Homebuyers? We are a real estate solutions company that specializes in helping homeowners sell their Franklin home for cash. Our process is simple and we work to create a solution that works for both parties. If you need to sell a home in Franklin TN, we can buy your house for cash! We Pay In Cash And Can Close Fast! In short, if you’ve tried selling your home and it hasn’t sold…we can help. We can make you a fair cash offer on your Franklin Tennessee house. You’re under no obligation to accept our offer. What do you have to lose? Sell Your House Fast For Cash: Start Below! We help property owners just like you, in all kinds of situations. From divorce, foreclosure, death of a family member, burdensome rental property, and all kinds of other situations. We buy houses in Franklin TN and surrounding areas and pay a fair cash price, fast. 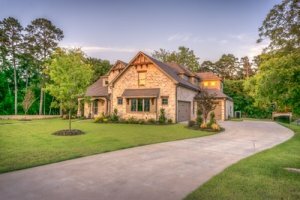 Sometimes, those who own property simply have lives that are too busy to take the time to do all of things that typically need to be done to prepare a house to sell on the market… if that describes you, just let us know about the property you’d like to be rid of and let us buy your Franklin TN house fast.